No more poring through magazines for whata��s new in the fashion world. Trendspotters.tv an online digital portal launched last month, compiles the latest micro trends in the world of fashion, music and entertainment, all on the go! Also look forward to features, nuggets of celebrity gossip, fashion tips, tidbits and quirky trends that are making waves across the globe or specifically, your city. Targeting those aged between 15 and 35, this portal, a Smartube Entertainment venture, predicts what might be the next big thing in terms of popular culture. a�?Trendspotters caters to the young techno-savvy viewer and goes beyond mere news, interviews and gossip that magazines and newspapers provide,a�? says founder Kunal Kishore Sinha, who will focus onA� sourcing information, not easily available to the mainstream media for the new age audience. Devoted to bringing out yet-undiscovered artistes and trends from every nook and corner of the country, this channela��s team is a group of youngsters who focus on discovering the next big thing or a�?micro-trendsa�?. We like that celebrities from the entertainment industry like Nida Mahmood, known as the queen of kitsch in the Indian fashion or guitarist Susmit Sen give us their take on existing trends and forecasts for the future. This service will soon spread to social networking sites and other web spaces like Twitter. a�?We are reaching out to the Twitter and Facebook generation who would rather sift through news on their mobiles or tablets than read novels or newspapers. We wish to offer a contemporary alternative platform to reach out to a wider audience,a�? Sinha emphasises. Ita��s disappointing to see our youthA� from certain pockets unable to communicate, not to forget lackingA� the confidence to speak in public. Ia��ve come across students from various reputed colleges and it amazes me that you can actually count the ones who have language proficiency on your hand. One cana��t blame the colleges for this mishap as this aberration should have been sorted back in school. In todaya��s day and age ita��s extremely important to have oratorical skills. When you see youth of today struggling to construct a sentence, it shows that no time has gone into developing the individualsa�� communicative skills. That said, it would be interesting to see how things start to change if every school could conduct a radio jockeying workshop or lab where students can come and understand public speaking etiquettes. It could be a zone for them to lose all inhibitions and fear they had about speaking in front of an audience. 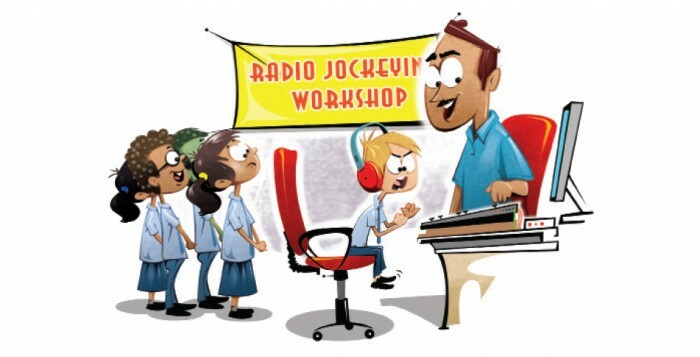 Radio training can be loads of fun for school students as it gives them an opportunity to push themselves to a different realm of learning. There is a huge impact when it comes to personality development. Once you know how to build that smoke screen, it becomes easier for an individual who is an introvert to jump to the other end of the spectrum at will. The outcome of such courses can be very positive and the once shy individual who was unable to speak or construct a sentence, could well be on his or her way to becoming a fearless speaker. Every radio presenter is not an encyclopedia but the content thata��s handed down by the day and over the years accumulates into a huge repository of learning. It can only be beneficial to schools to undertake such programmes in order to train students to beat the fear of the microphone and in turnA� make learning an interesting personal experience. Schools, and even colleges for that matter (as ita��s never too late to develop skills),should look at radio training as a route to making their students better speakers. See you next week!